Meet 7 year-old Carter. 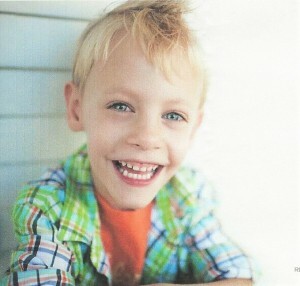 He has Spina Bifida which has caused many obstacles; one such obstacle is that Carter has a very difficult time walking. The young boy remains very resilient despite his disability. Carter is very mentally and physically active. His favorite subject in school is science. He enjoys conducting experiments, while eagerly waiting for results. Carter also plays sled hockey, a modified version of ice hockey for disabled athletes. During therapy he loves riding a bicycle for exercise. Carter is an example of someone who fights for every inch of health and happiness. Carter is requesting an adaptive bike for use at home. The equipment will promote more strength and stamina. It will also give him an opportunity to have fun with his friends and family.